Is there a way to plot percentages on a line chart considering the aggregate options available? I have attached sample data with a plot using "averages" but that does not provide correct measures. I'm not sure how to create the proper formula to achieve proper results. To achieve this, you can use a “Post Pivot” calculated field. 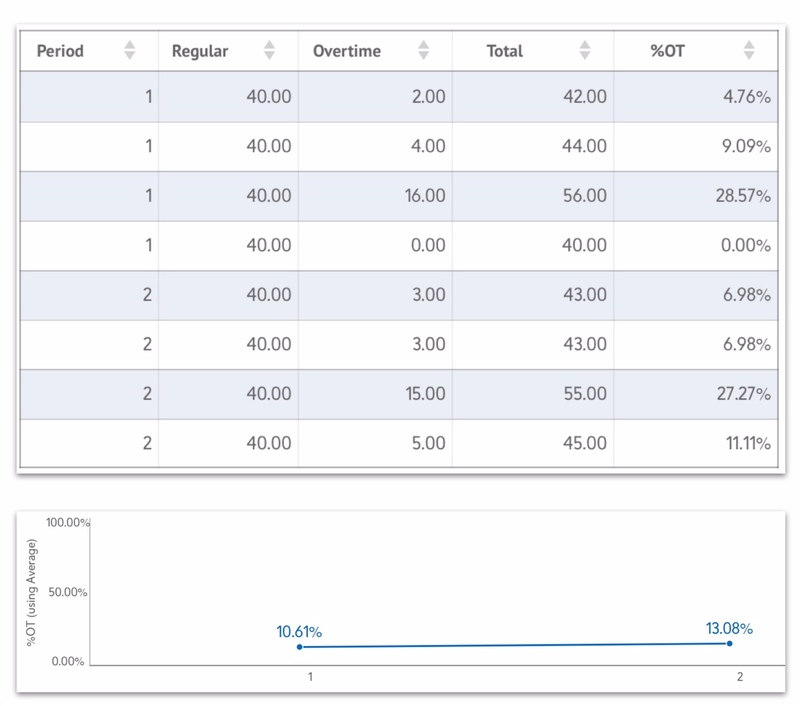 This calculation is performed on the result of the aggregation function, so if you aggregated (Sum) “Overtime” and “Total” by Period then added a “Post Pivot” calculated field (called “OT/Period” in the attached sample); you can then mark the Sum of Overtime and total as not visible so the Chart only show the % of over time per period.